The Honor View 10's launch is a significant one in Honor's history. It was known as Honor's V-series and it was only available in China and select markets with a different name (i.e. Honor 8/9 Pro). 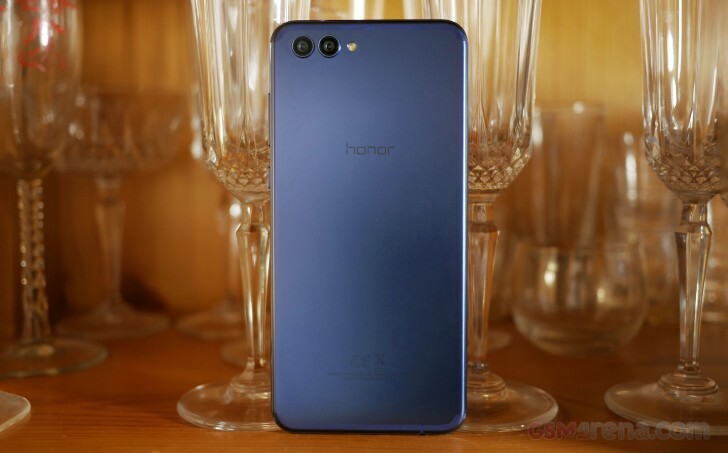 Honor's rebranding to "View" series comes at the same time as the company's decision to launch the smartphone outside of China as a high-value or bang-for-your-buck smartphone. 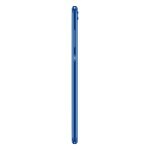 In the past couple of iterations, the V-series held specs that nearly mirrored Huawei's most recent Mate-series model. 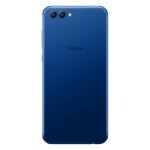 For example, the Honor V9 had specifications that were identical to the Huawei Mate 9 Pro like the CPU and RAM size. 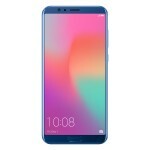 The Honor View 10 is in the same boat in this regard - it has similar hardware to the Huawei Mate 10 Pro. The thing about the Mate 10 Pro and the Honor View 10 is that they serve different segments of the market. The Mate 10 Pro is the premium offering while the View 10 is more of a 'bang-for-your-buck" choice. In fact, we feel that the Honor View 10 offers an additional tier to the Huawei Mate 10 and Mate 10 Pro. Unlike the Mate 10 Pro, the View 10 has a front-mounted fingerprint scanner, a 3.5mm headphone jack, and expandable memory, all of which the Mate 10 Pro forgoes. Of course, the Mate 10 Pro has the Leica branded cameras, premium hardware construction, and is sealed for water-resistance (all of which the View 10 lacks). Of course, each of these models offers something different and each has its drawbacks and compromises. So, why would anyone choose the Mate 10 Pro over the View 10? By the end of the review, you'll have an answer. Mate 10 aside, the View 10 is really pushing what a phone of this price can offer. It's definitely rubbing shoulders with the likes of other smartphones in this price range like the OnePlus 5T and the Essential PH-1. 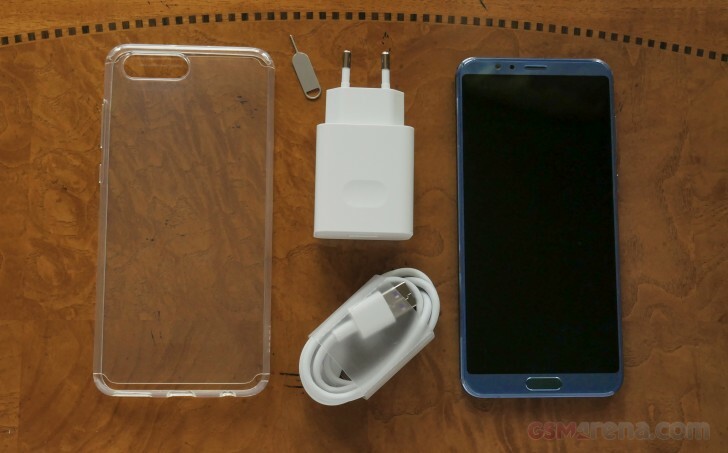 It looks like Honor has really crammed a lot of value into this guy, let's dig into the phone's packaging. We received a European unit from our friends at Honor and it certainly is a step up from Honor's usual bright-teal colored packaging. This box is a very dark navy blue color, likely to represent our blue model. We're not sure if the black version would come with a black box, but we'd imagine that's the case. Sliding off the lid, we are greeted with the phone itself. Underneath this compartment is a pack of documentation, a clear gel case (which is always welcome), and a SIM tool. Under that is the Huawei Super Charge adapter - more on this in the battery section of the Lab Tests page, and a USB-C to USB-A cable for transferring data to/from a PC. Note that you will need this cable for full charging speeds, so take good care of it. On the next page we'll take a look at the phone's hardware. Since an update (the one before the last) the perfect selfie menu has disappeared. Contacted customer support and they say I have to wait for next update. I just wondered is it missing on anyone else's view 10 under camera capture settings?